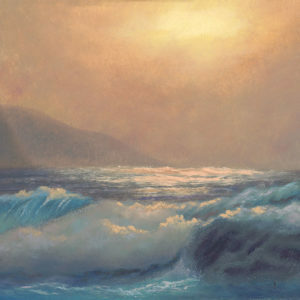 Hanalei Bay is the largest bay in Kauai. 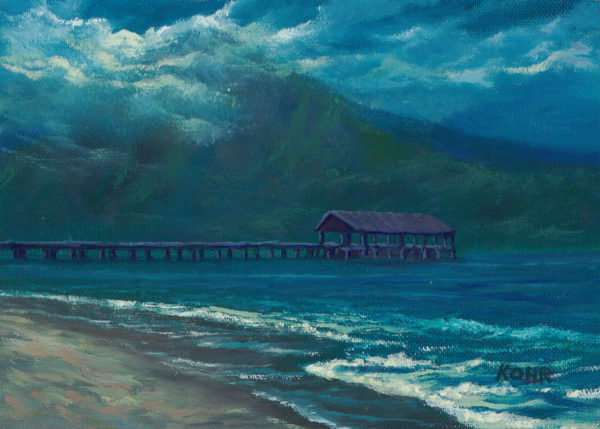 Beautiful scenery can be viewed along the beach and coast, or out from Hanalei Pier which is in the center of this painting. 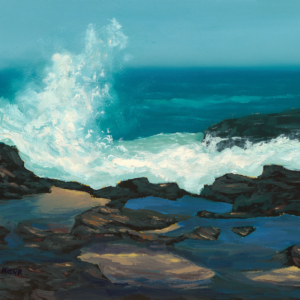 Moonlit scenes can be especially tranquil and calming….the soothing blues and greens combined with the gentle surf put one’s worries and fears at ease. 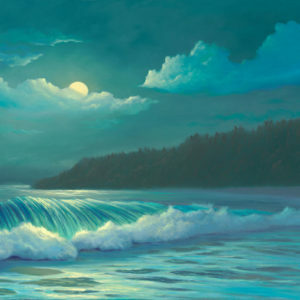 Hanalei Bay at Night – Hanalei Bay is the largest bay in Kauai. Beautiful scenery can be viewed along the beach and coast, or out from Hanalei Pier which is in the center of this painting. 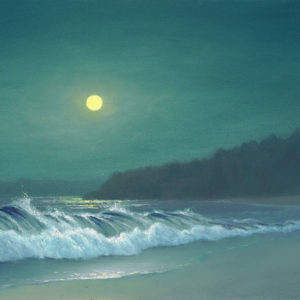 Moonlit scenes can be especially tranquil and calming….the soothing blues and greens combined with the gentle surf put one’s worries and fears at ease.